Heather attended Farnham College from 1972-1979; the last grammar school intake to go through the 'old system' and be absorbed into the new Farnham College. She went on to the University of Wales, University College Cardiff, leaving with an Hons degree in Plant Science, a PCGE in Secondary Biology & Science and a husband, Keith. Whilst teaching and working in a range of education-based jobs across the south and Home Counties, as an adoptee herself Heather spent many years supporting the work of the London-based charity, The Children's Society. She contributed to several training and reference manuals for adoption workers and potential adopters faced with reunion, and under an assumed name addressed seminars and lectures on reunion, appeared in magazine and newspaper articles and on numerous radio and TV talk shows. 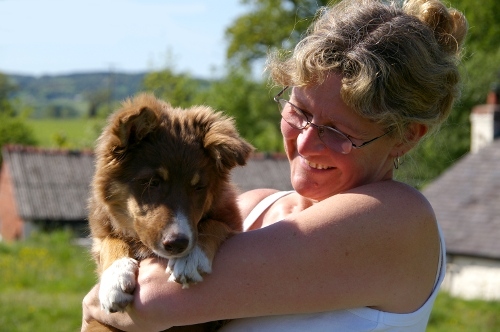 Since 1989 Heather has been closely involved in the sport of Dog Agility. Starting out with two unsuspecting family mutts, she moved up through the 'ranks' and over the years in addition to qualifying for most of the major competitive finals across the country has made three successful appearances at Crufts. 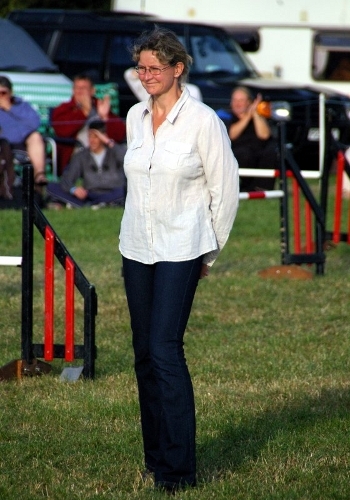 She is a qualified Instructor and a Kennel Club Championship Agility Judge, running her own agility training club. 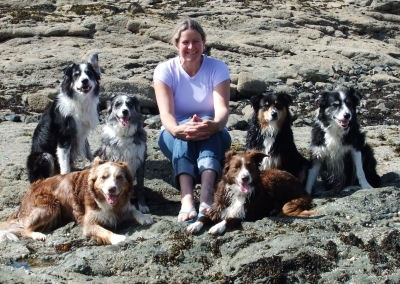 Heather currently has four Border Collies and four Miniature Australian Shepherd Dogs, being one of just three breeders of 'mini Aussies' in the country who have imported this breed to the UK from it's native America. Heather and Keith live in the Scottish Borders. They have two daughters in their 20's. Having helped to organise their 20-year reunion in 1999, Heather is in touch with many of the Class of '79 and of course with Mike.